Expression of your emotions...: I am turning into Geppetto!!! I am turning into Geppetto!!! Hi everyone, I hope you are having an amazing week. This week I have been making a lot of dresses ( will be sharing soon), but today I have another pair which I made last month. 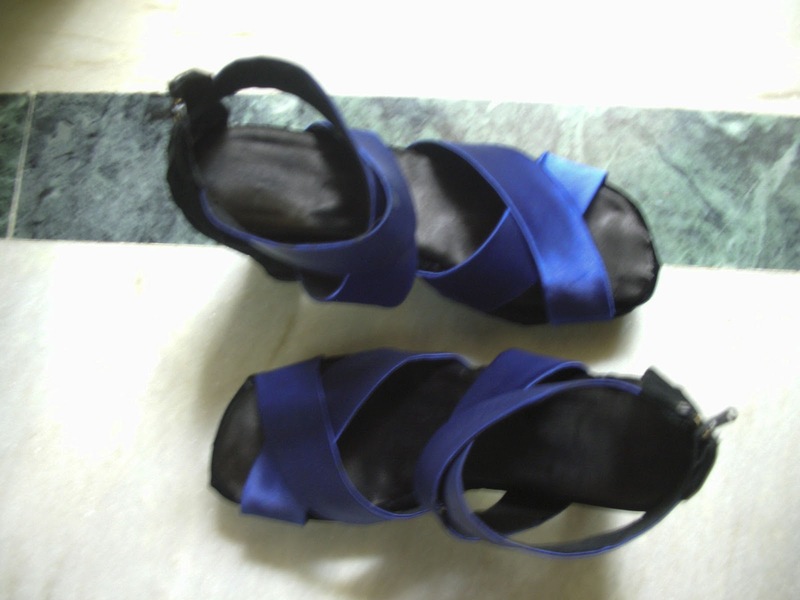 Most of my heels are black, so I thought of adding a little blue to them and this is what I came up with. I love the heels with bold stripes. These shoes are so nice, I like them! !Nice post! I love the colors of these shoes. They look cute! hi vasu ~ you are a true talent! 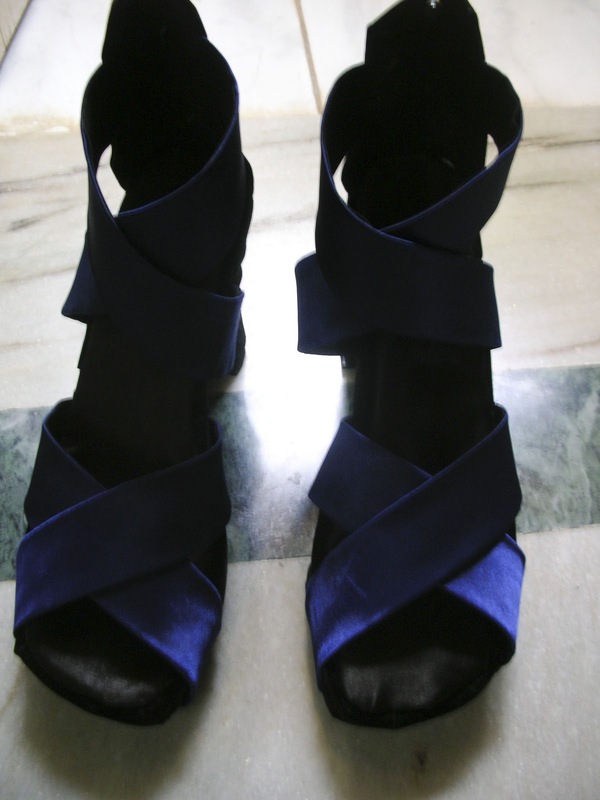 these shoes are beautiful! i love the color combo of black w. deep blue = gorgeous!! Great job! I love them! 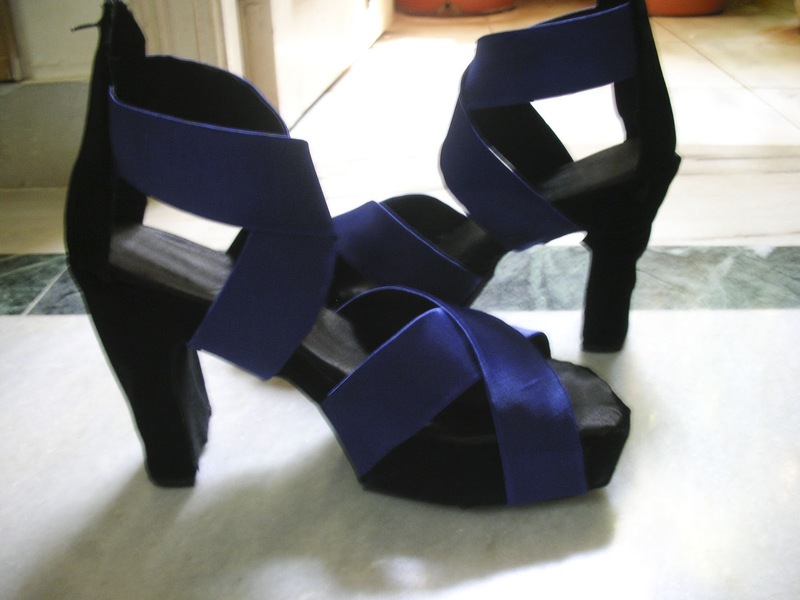 cool shoes, love the royal blue color! Those shoes are amazing. And I love the beautiful color. Lovely sandals! Here the weather is cold to wear them. What a pity! wow!! your sandals are amazing! Love them! nice blog!! I really enjoyed this post!